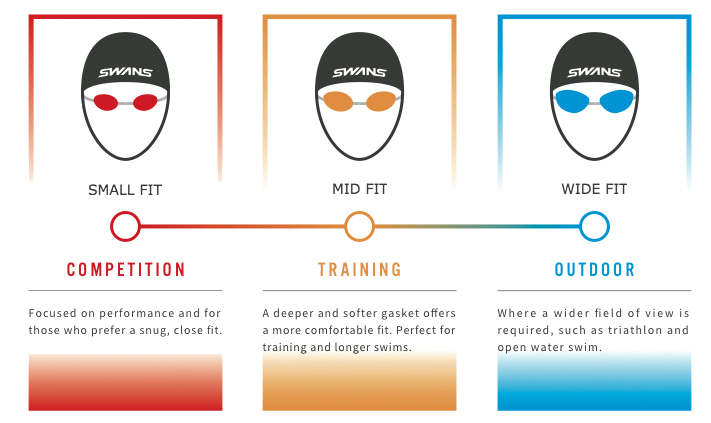 The latest edition to the Swans range, the Open Water Seven series is available with polarised or mirrored lens. 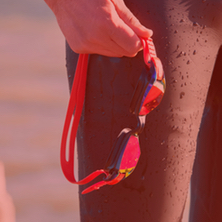 The thick, split silicone strap will help to ensure your goggles stay firmly in position. The clamp on the side of the goggle allows the strap to be adjusted easily and quickly, and it's unique design means it locks into place one the goggles are on your head. First goggle I've bought, good quality, good vision worth the money. Only started wearing swans last year after 20 years wearing other makes. Ive had swans open water ones they ard amazing. Find them particularly uncomfortable. If worn slightly looser water seeps in. When tighter they actually hurt around the eye socket. Last time I had red rings around my eyes the following day. Extremely disappointed particularly given the positive feedback! Of course I wore the OW Seven polarized , took the OW Seven mirror as spare. No FOG - no leaking, put on Sevens then Swim for Haiti.org cap at start. 82*water & 82*air a fantastic open water swim just begging for entrants with Swan OWS Sevens. No headache or nose pinching only a clear view of blue ocean water. This is a wide fit model.